I read somewhere, not long before my first book was published, that being a published author would ruin the experience of going to a bookstore. I scoffed, but I soon learned that it was all too true. A bookstore will have no copy of your precious baby. Or it will have one or two copies, buried so deep in the back that nobody will see them. Or the store has a few copies well-placed, but nobody seems to be paying any attention to your book, much less buying it. I fear that being the author of a new biography on William Henry Seward, a book that deals with the first few months of 1865, similarly ruins the experience of Steven Spielberg’s new movie on Abraham Lincoln, depicting the same months. As I sat in the theater, I found myself at every turn noting minor errors. Many were points of vocabulary or procedure. Lincoln did not call his friend “William” or “Secretary Seward”; he called him “Governor.” People did not refer, in January 1865, to the “Thirteenth Amendment,” because they did not know it would ultimately have that number; they talked about the “slavery amendment.” Members of the House of Representatives did not address one another directly, much less cross-examine one another; they addressed their comments to the Speaker, as they do today. Voting in the House did not proceed by state; it proceeded in alphabetical order. There were also chronological problems. The three Confederate peace commissioners did not pass through the Union lines in mid-January; they were not even named until late in the month. Grant did send a telegraph to Washington, urging Lincoln and Seward to meet the commissioners, but that message was sent after the House vote, not weeks before, as in the movie. More serious perhaps were points of plausibility. Would Lincoln really have spoken with Elizabeth Keckley, his wife’s black seamstress, to ask her about post-war plans? I doubt it. Would Lincoln really have joined Seward in visiting the shady lobbyists to discuss how to pressure the last few representatives? I doubt it. All these points, however, are quibbles. 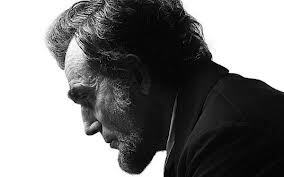 Spielberg has made a great movie about Lincoln, Seward, the Thirteenth Amendment, the Civil War. With very few exceptions, the actors look like and act like the characters they portray; David Strathairn has Seward completely captured. Even more persuasive are the relationships between the characters. We experience the interplay between Lincoln and Seward, how Seward could disagree with Lincoln yet serve as his most effective instrument. We see how the two men pursued their great goals, ending the Civil War and ending slavery, and how they were prepared to cut some corners to reach their goals. Spielberg and the actors make history alive in a way in which no author, however gifted, could with mere words. So in the end I am left not with concerns but with gratitude: To Spielberg for making this movie, and to my fellow moviegoers, for only when movies succeed will others make similar movies in the future. Walter Stahr is the author of “Seward: Lincoln’s Indispensable Man” and “John Jay.” This article first appeared November 20, 2012 in the Wall Street Journal.